At this very moment I am working at the National Opera with a band, seven singers and four brass players. We are working on ‘Hondenhartje’, a youth opera I wrote together with composer Florian Magnus Maier (we both also play in the band). With Zapp4 we are touring now to present our ‘In Bloom, the music of Nirvana’ album. We took the Nirvana repertoire in all sorts of directions and I love the diversity that came out of that. Last March Zapp4 played several concerts at the Crosslinx Festival with singer/ songwriter Ane Brun. We also had the pleasure to arrange most of the repertoire and the concerts where a blast to do. At the same time my double cello concerto has been performed by Nick Shugaev and Yulia Migunova + ensemble in Moscow. Amazing that music in my head gets performed in a place where I have never been! I wrote the piece for Nick and I am very happy to collaborate with him. Last Februari I had the pleasure to be one of the main guests at the Amsterdam Viola Festival. I wrote the obligatory piece for the concours and my viola concerto was played by Annemarie Hensens + an ensemble (I joined on percussion). Annemarie played great! 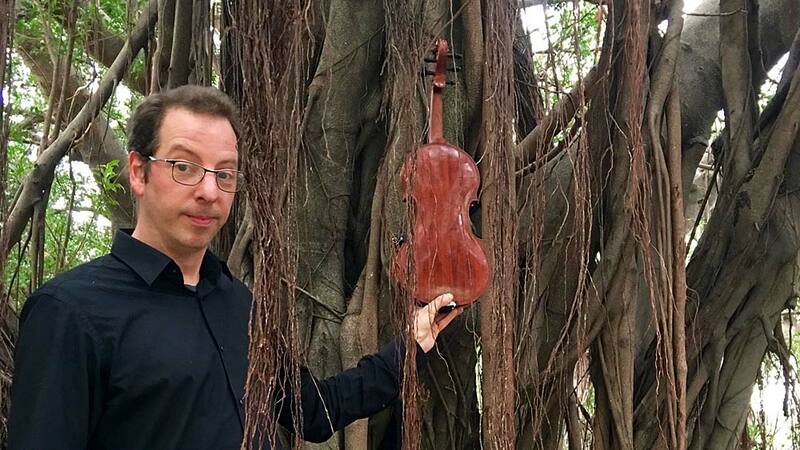 In Februari and March I had the pleasure to tour in Taiwan (with The Nordanians) and Canada (in duo with pianist David Braid). Both have been inspiring trips and besides a lot of musical joy I witnessed a huge difference in temperature. (from 27 degrees in Taiwan to -23 in Canada). Estafest has a new album, Bayachrimae, and we played a series of concerts to present that and soon there will be more. Besides regular concerts in the Netherlands it will take us to the North Sea Jazz Festival, The Budapest Music Centre and to South Africa. Furthermore I will compose for violinist Liza Ferschtman + Calafax, Ud players Nizar Rohana & Jawa Manla + the New European Ensemble, The National Youth Jazz Orchestra and more. The new Nordanians album, ‘Dr. Mysore’, will be released soon at Zennez Records. Greame Stephen will take Zapp4 to Shanghai for his new score of the ‘Metropolis’ film. I will write a new opera for Holland Opera and a new composition for the string orchestra ‘Methamorphosen’ + voice. Mark Haanstra (bass guitar) and me will record our new duo cd. Dancer Miri Lee and me started a new duo. I look forward to all this new developments and I am very happy to work with my inspiring colleagues. Many of them are my dear friends.